The Slick Locks Hasp System is the only drill-free stainless steel locking hasp system on the market today. This no-drill installation process eliminates the typical corrosion problems caused by compromising your vehicle’s paint finish. Slick Lock utilizes blade brackets that are custom engineered to fit each manufacturer’s vehicle doors precisely. 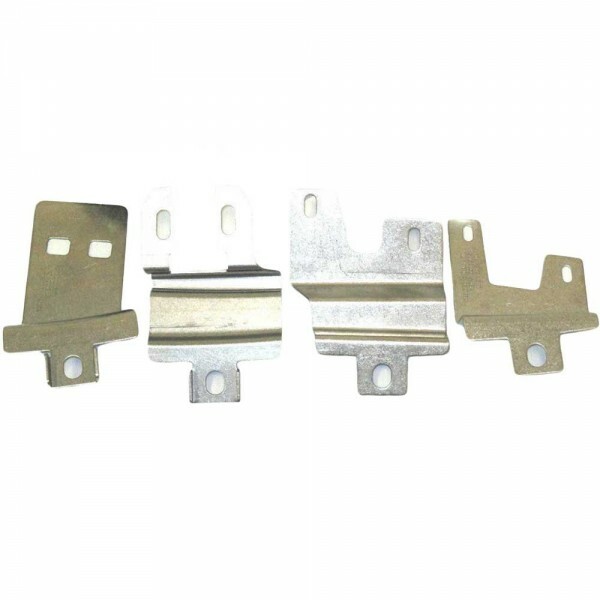 When your doors are closed the two blade brackets meet creating a receiving hasp for your cylinder lock (available separately). Once installed the cylinder lock covers them thus eliminating access to and tampering with the blades. For use with the Ford Full Size Transit 2015 side and rear hinged doors. Excludes Puk Locks - order locks separately.